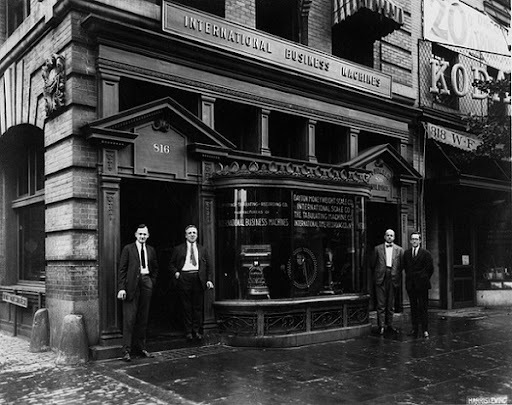 On June 16th, 1911, three smaller companies merged to form the Computing-Tabulating-Recording Company. In 1924 the C-R-T Co. would change its name to International Business Machines. Its initials, IBM, would go on to become synonymous with the computer industry. IBM has given us the bar code, the magnetic strip on credit, debit and ATM cards, the high-speed transaction processing system that made ATM's possible, the floppy disk (remember those? ), and countless other innovations. Its punch-card technology helped count the US population in the decennial Census. Its computer systems and software helped land astronauts on the Moon. Its mainframe computers and database technology continue to serve large businesses almost everywhere you can think of. IBM also gave us the industry-standard PC architecture, back in 1981. 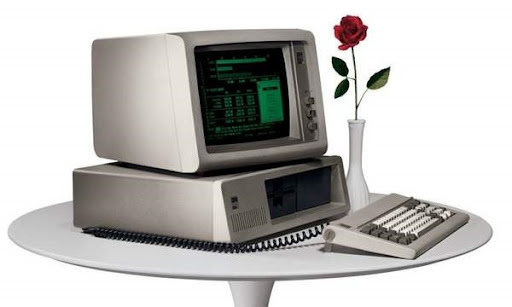 If you're reading this on a computer screen, the odds are about 17 to 1 that you're doing so on a personal computer whose architecture still follows what was introduced as the IBM PC. Congratulations, IBM, and thanks for 100 very useful and innovative years. I'm one of your alumni as a former Instructor and System Engineer, back in my dim and distant past. Good memories. They also gave us AIX. Just goes to show you can't be right every time.